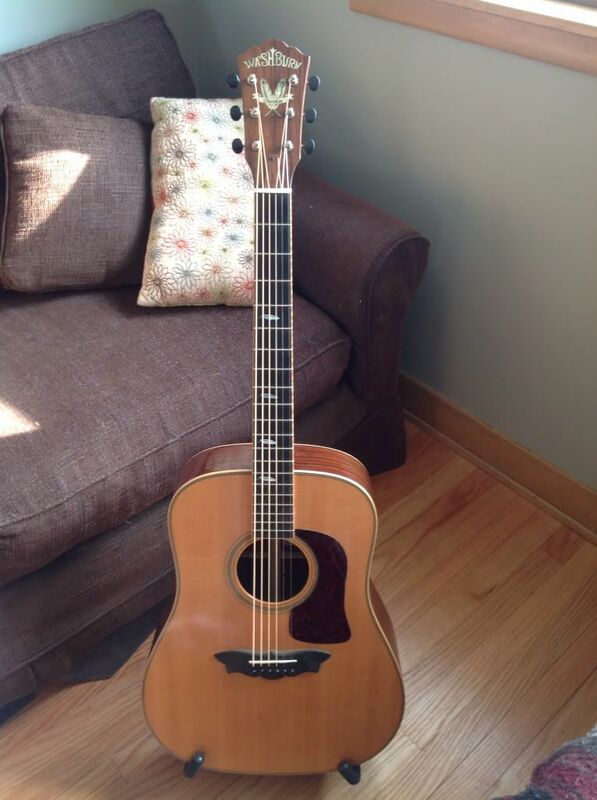 I took a drill to my most rare, most valuable guitar, my 1995 D-55 Bourgeois Cherokee. But...I'd do it again. Acoustic content, so I know half the class will go back to browsing, and that's fine. Ever since I bought this guitar, I appreciated its fine craftsmanship and most of all, it's sound. Amazing full boomy dreadnaught bliss. BUT, the purist in me was always slightly bothered by all the bling. Most of that being inlays and wood, it can't be altered. But there were two things I could do. 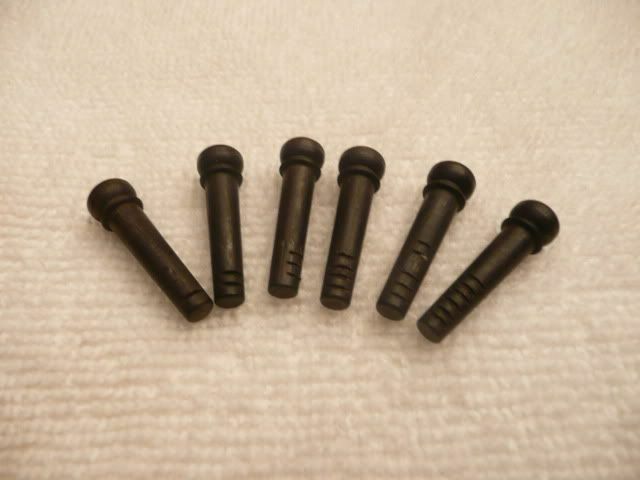 Tuners and Bridge pins. And boy, little things can go a long way. The only acceptable choice for a guitar like this, I felt, were Waverly's. I chose Ebony, to keep the bling factor down, and mesh with the fretboard, bridge, and bridge pins, in hopes of keeping it dramatic, but not flashy. I think it worked. The Waverly bottom holes line up perfectly with the Grover holes, then simply adding a hole on the top. This is where the nerve wracking part comes in. Drilling holes in the headstock. I tend to have a great fear of Murphy rearing his ugly face in situations like these, but all went well. She looks better, and arguably sounds better, if that's possible. Next up, Gotoh's on my Larrivee. Good job mate, she looks much more "serious" now. Nice, Kimo! Very tasteful changes. I think it looks more classy, with these tuners. Tom. I agree with your choice of tuners...my Epi Masterbilt AJ500RC has Waverly's and it holds a tune better than any other guitar I own...ROCK solid! There WILL be the purists who think you just scrubbed a bunch of value off a DB original...not quite sure how to feel about that...but they aren't enjoying the guitar, YOU are. Good on ya for following your inner voice, Kimo!!! There WILL be the purists who think you just scrubbed a bunch of value off a DB original...not quite sure how to feel about that.. I know.. I gave that a lot of thought...but this is how I came to have peace with my decision. We know that that this guitar was spec'd as a Bourgeois Standard D, with cosmetic and in some cases, structural alterations requested by Washburn. 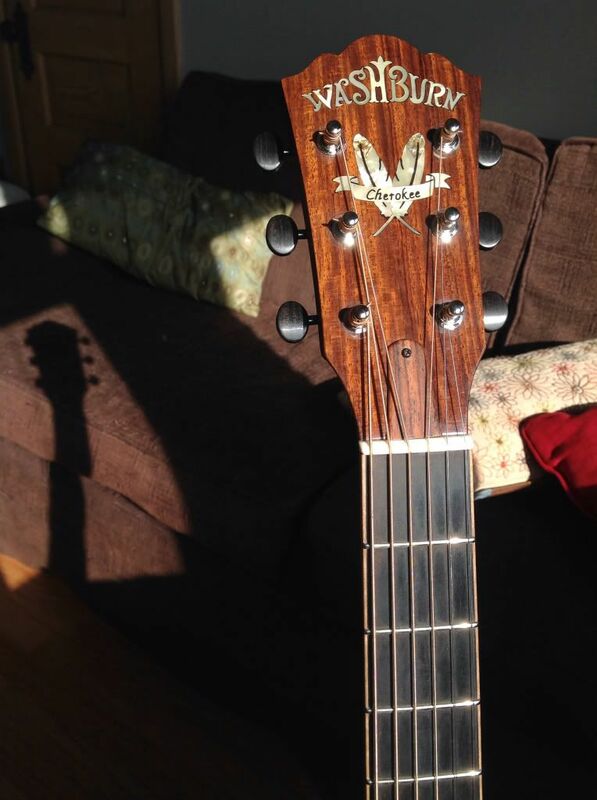 Being a Bourgeois fan, I've ogled long and hard on his designs, and I be shocked to see the butterfly bridge, for example, were his name on the headstock. If you were to go buy an off the shelf Standard D from Dana...it would come with....you guessed it. Waverly's. So arguably...I've brought it closer to the nest than it was before. That's my rationale, and I'm stickin' to it! Interested in what the lawyers....and Jim Smith...would say. 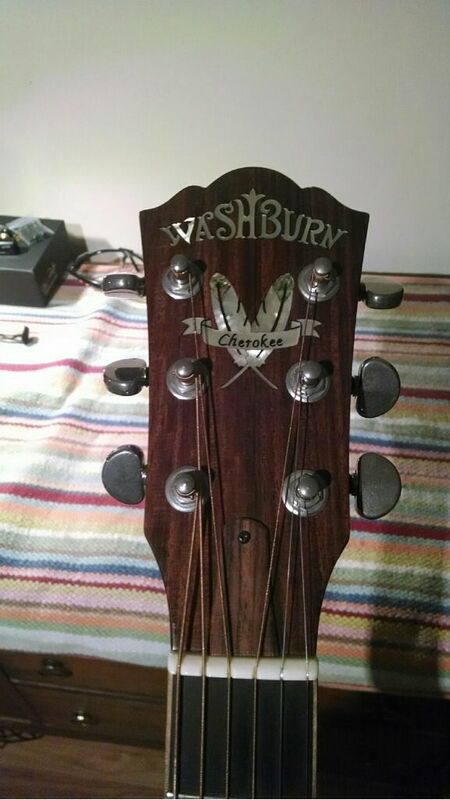 you did very good and nice call on the tuners... As far as I know (which isn't much) Washburn only uses Grover tuners on most of its higher end guitars.. and Waverly tuners would be special order or something. The tuners make it better. New tuners look great. As long as you are happy and they function well then really that's all that should matter. 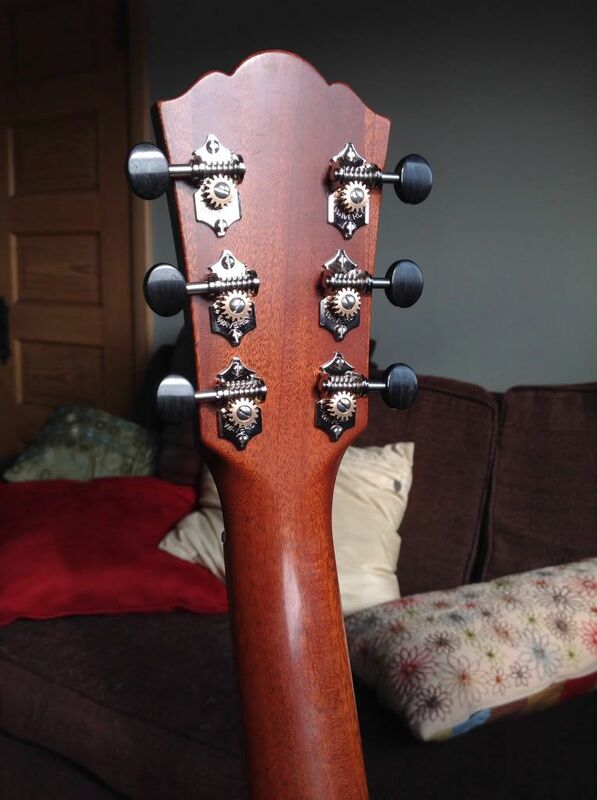 Keeping something as original as possible, is important for pre-war Martins and Gibsons, among others. For a DB built Washburn, less so. Keep the old tuners and let the new owner put them on, IF you ever decide to sell. You mention new bridge pins. I'v swapped pins many times for cosmetic reasons. I've never noticed a sonic difference. I know others feel strongly that bone, ebony, brass and other materials do make a difference tone wise. 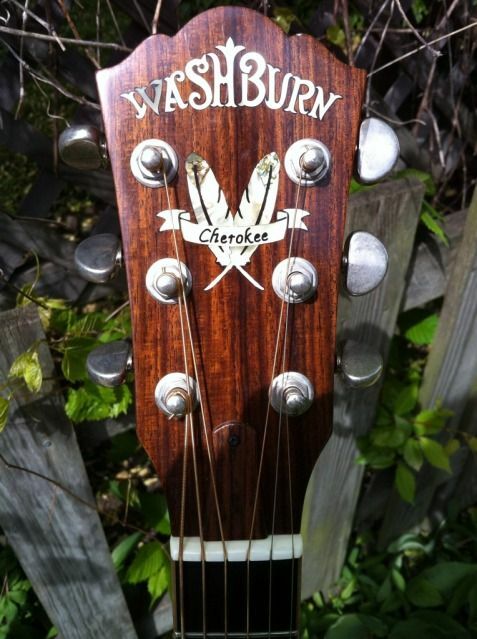 Can you describe how the tone changed on your Cherokee? Mind you, I did say "arguably" improved. I hadn't played the guitar in two months due to the missing pin, and when I played it again, it had new pins (ebony, same as before) tuners, and strings (DR sunbeams, .013's) it sounds huge and open. The low E (D# in my case) rumbles to degree I just don't recall. IF its improved, I'd wager its more the tuners, but even there....while I feel the Waverly's look better and weigh MUCH less, the Grovers were rock solid mechanically. The guitar held tune well. Not sure if you caught that I'd lost one of the original pins, so chose to replace the set with one sans MOP dots, and since I was ordering and paying for shipping, chose to do the tuners as well. I have the utmost respect for Dana and his cred as a tonewood authority, as does the rest of the Luthery world. I can't imagine he would jeopardize that to move a few more guitars. It seems this is a pretty measurable process that these go through (unnlike, for expample, the notion of storing your guitar on your subwoofer and playing hard rock for months on end to age it) My guess is he has found a discernable difference in top treated this way, so he's making that option available to the market. Always room for a different sound. I mean, for years you never saw parlors or OM's because of the percieved small plunky tones, now look at the appreciation there is for that segment. It's just another color on the palette. As to tuners....and not caring....well, only to degree. Tuning stability matters. 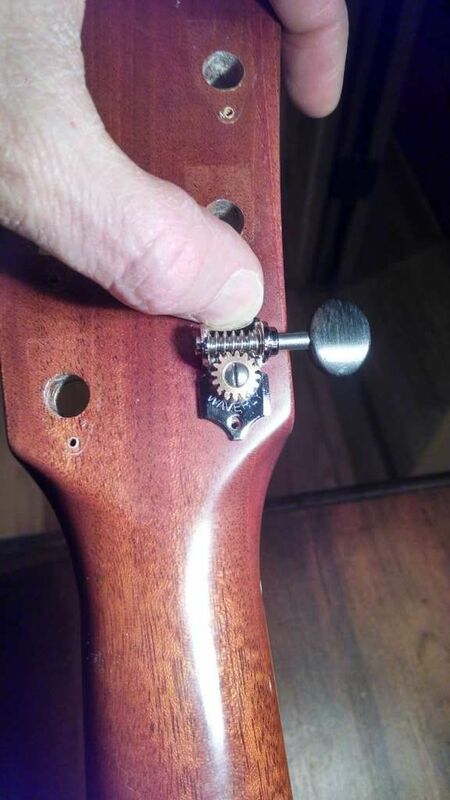 And not all tuning machines are created equal. Certainly other brands do a fantastic job. I stated in this thread that the grovers were rock solid as tuning machines on the Cherokee....I just thought they looked out of place. You wouldn't put Klusons on a Dime Stealth would you? 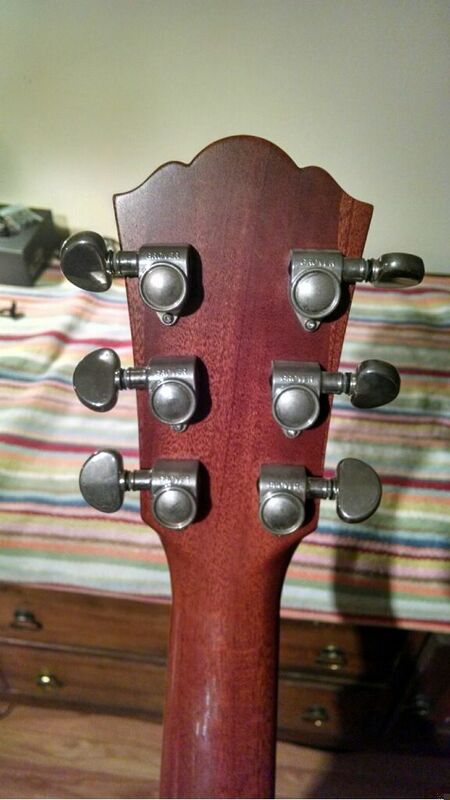 If I'm spending 2 - 6k on a guitar, I care that the tuners are excellent. Not necessarily Waverly's, but top quality and style appropriate. 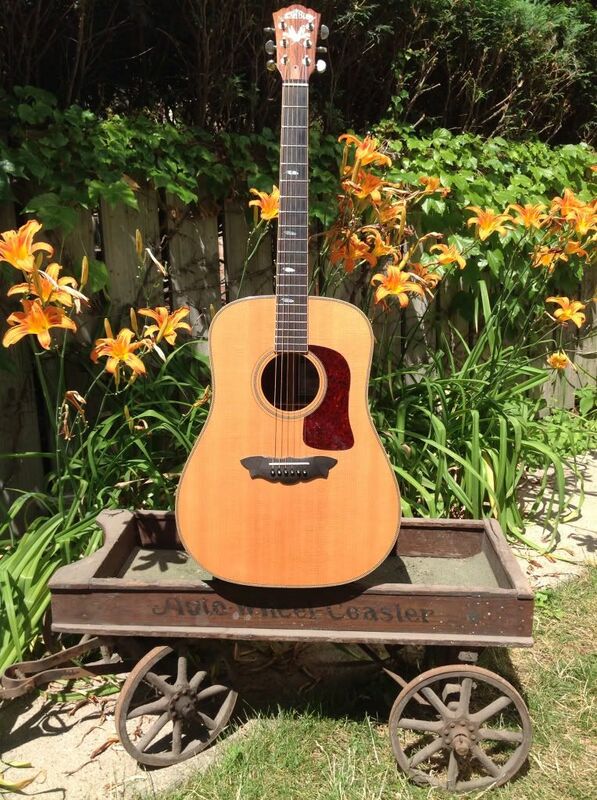 You'll find that when looking at high end acoustics they frequently come standard with Waverly or Wilkinson (Washburns Solo 5249) because they're solid, and style appropriate. I think the new tuners look really nice. They look like they belong there. Good job.